Weapons forms and applications a section of our Tai Chi Chuan syllabus, which covers using 3 weapons. We learn and perform a form with each weapon and there are a number of respective applications to go them. Spear Form – a fairly short form taught using a 6ft staff or pole. Traditionally this would have been made from bamboo and would have been longer with a blade on the end. 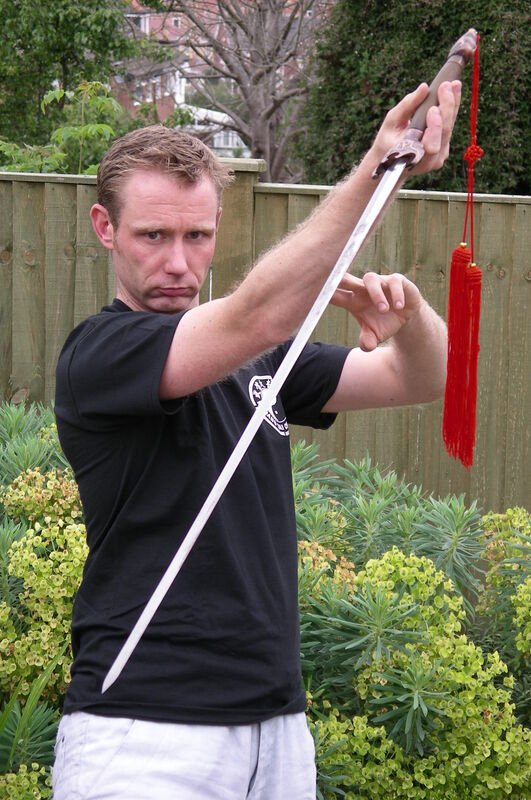 Sabre Form – a medium length form taught with a Chinese Broadsword. This is a single bladed weapon i.e. it has a sharp edge and a blunt edge. The form is practised quite fast and contains many leaps and jumps. This is a cardiovascular workout amongst many things. Sword Form – a long form taught with a traditional Chinese sword, just like the swords seen in films like “Crouching Tiger Hidden Dragon”. This is a beautiful form, very precise, lots of high and low techniques and one which is incredibly soothing on the mind when practised. Weapons can be quite dangerous and this is why we wait until students are quite proficient with their hand forms. This way they can be in control of the weapons much more. We also practise with “practise” weapons, which are generally blunt where possible. In my 20 years of Tai Chi I have seen about 2 weapons form accidents, once of which was to myself. Ergo accidents are very infrequent but do happen. 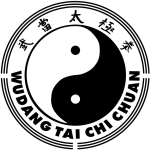 Wudang Tai Chi weapons forms bring to life the weapons traditionally used in China hundreds of years ago and also bring with them self defence applications used with the weapons, in the same way hand form has corresponding applications.